You work hard because you care, your team cares because you lead, and your patients are cared for because they matter. You wake up every day to make a positive difference in the lives of your patients, and also in the lives of your team. Successful leadership is knowing true performance, and knowing true performance allows for improvement. You spend a lot of time every day in the hope of making things better through improved processes and better execution. That's why you lead and others follow. In everything we do, we believe in a smarter way to measure and notify, so you can help improve those you lead and those you and your team care for.We do it through innovative technologies and common sense processes for superior performance measurement and analysis, so you can truly know and absolutely improve. Qualitick is a leadership program for rapid-cycle quality improvement which enables you to quickly gather critical performance data in real-time via tablets and phones. Data collection includes patient feedback, e-rounding, discharge calls, safety checks, staff surveys and reviews, etc. The Qualitick program allows medical leaders to take control of data collection through high ‘N' numbers, real-time notifications, and robust, state-of-the-art reporting for a better understanding of actual performance. 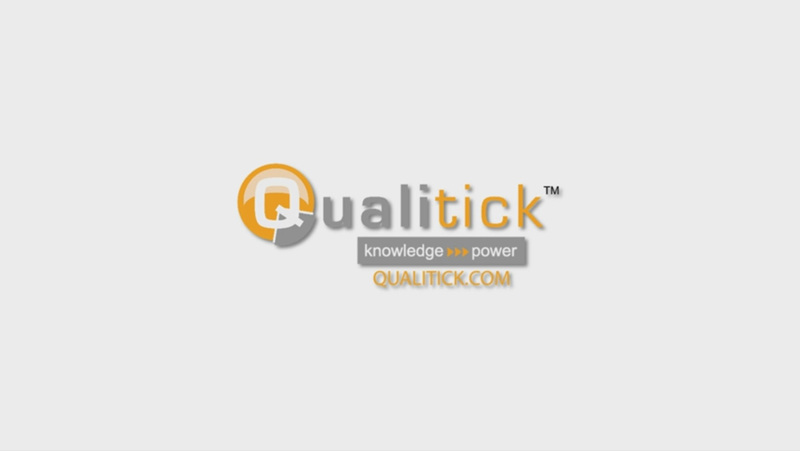 Click the image above to watch a short video on how the innovative Qualitick program works. Qualitick is a state-of-the art measurement and analysis tool which aids sound decision-making, through superior & timely information analysis, for process improvement and execution. Qualitick allows you to lead more effectively and with greater confidence. You work hard because you care, your team cares because you lead, and your patients are cared for because they matter. This is why you wake up every day, to make a positive difference in the lives of your patients, and also in the lives of your team. Successful leadership is knowing true performance, and knowing true performance allows for improvement. You spend a lot of time every day in the hope of making things better through improved processes and better execution. That's why you lead and others follow. In everything we do, we believe in a smarter way to measure and notify, so you can help improve those you lead and those you and your team care for. We do it through innovative technologies and common sense processes for superior performance measurement and analysis, so you can truly know and absolutely improve.